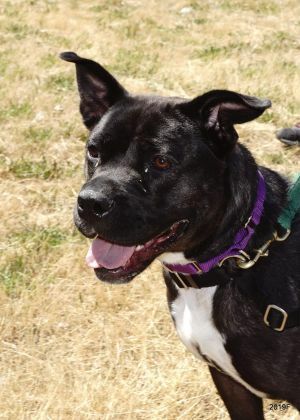 The Whatcom Humane Society is an open-admission animal shelter providing care and services to domestic, farm and wild animals in Whatcom County including Bellingham, Blaine, Ferndale, Sumas & Everson. We provide animal services for Whatcom County which includes Bellingham, Blaine & Ferndale. The Whatcom Humane Society Animal Control / Field Services Department is available 24 hours a day, 7 days a week. Picking up stray, injured, aggressive, dangerous and dead animals. Transportation and impoundment of stray animals to the shelter for impound, or in cases of emergency, to a veterinarian for medical treatment (if WHS staff veterinarian is not available). Administration and enforcement of all animal related laws and ordinances for the Cities of Bellingham, Blaine, Ferndale, Sumas, Everson and unincorporated Whatcom County. Investigation of cruelty and neglect complaints as authorized by State, City and County ordinances. Acting as a liaison for WHS at community events, pet licensing clinics and neighborhood meetings to educate and inform residents about animal welfare issues. If you are aware of an animal being abused or neglected, please call our Animal Control Office at (360) 733-2080, ext #3017. If you need assistance after our regular business hours and you have an animal related emergency, such as an animal running in traffic, an injured animal, an animal acting aggressively or you need to report an animal being harmed, please call 911. The 911 dispatcher on duty will contact a WHS animal control officer for further assistance. 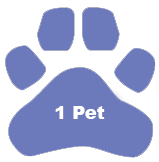 Choose the number of pets you would like to license today. If you need a kennel license or live in the City of Bellingham and think you may qualify for a low-income or service dog license waiver, please e-mail licensing@whatcomhumane.org or call (360)733-2080 ext 3010. Dogs over 4 months of age living in the city limits of Bellingham, Blaine and Ferndale are required to have a license. Before a license is issued for any dog, the owner must certify under penalty of perjury that the dog has been vaccinated against rabies. A certification of vaccination signed by an accredited veterinarian, and showing that the vaccination does not expire prior to the expiration date of the license, must be provided upon request. Dogs over 7 months of age living in unincorporated Whatcom County are required to have a license. While the rabies vaccine is required by law in Washington state, proof is not required for licensing purposes. Cat licensing is only required in the City Limits of Ferndale. Cats over 4 months of age living in the city limits of Ferndale are required to have a license. A certification of rabies vaccination signed by an accredited veterinarian, and showing that the vaccination does not expire prior to the expiration date of the license, must be provided upon request. A microchip may be used in place of a license tag for Ferndale cats. The microchip number must be provided at the time of licensing. The annual license fee for sterilized cats or dogs is $11. The annual license fee for each unsterilized male or female is $41. 1 in 3 pets will get lost in their lifetime. Although no bigger than a grain of rice, this permanent form of identification could be your pet’s ticket home if this ever happens to them. We offer this lifesaving service for just $20.00 every day at our shelter facility. No appointment necessary! Whatcom Humane Society offers a low-cost spay and neuter program called SNAP for eligible applicants. We need to get her fixed! Thank you for your interest in the Whatcom Humane Society’s low-cost spay/neuter program (S.N.A.P.). If you are interested in having your companion animal spayed or neutered, please fill out the S.N.A.P. application below and return to the shelter. Upon receipt of your completed application a WHS staff member or volunteer will contact you to review your application, discuss payment options and schedule an appointment for your animal. Click here to download an application form for our spay/neuter program. Click Here to download Spay/Neuter Assistance Program Application For Lummi & Nooksack Tribal Members. Click here for information on WeSnip, Whatcom Educational Spay Neuter Impact Program. Why You Should Spay or Neuter Your Pet There are many compelling reasons to spay or neuter your pet. Find out why spaying and neutering is good for you, your pet, and your community! Click here for more information. Myths and Facts About Spaying and Neutering Click here for more information. Our trained staff can provide a humane, dignified end to your pet’s life. We understand how difficult it can be to say goodbye to a beloved family companion. We encourage you to discuss this decision with your veterinarian and, if possible, have your veterinarian perform end of life services for your pet. If you do not have a veterinarian, are low-income or otherwise find your pet in need of end of life services, our compassionate, caring and trained staff can help. The Whatcom Humane Society offers humane euthanasia services for ill or suffering companion animals by appointment only. You may choose to stay and be present with your animal if you like. Our euthanasia service fee is $50.00. If this is a financial hardship for you, please discuss with our customer service department at the time you call to schedule an appointment. WHS customer service may be reached at (360)733-2080, ext # 3001. We offer the option of private or non-private cremation services for your pets remains. Private cremation services are offered at an additional cost depending on the animals weight and size. For additional information or to make an appointment, contact our Customer Service Department at (360)733-2080, ext # 3004. Cremation Services and pet memorial options are also available at Radiant Heart After-Care for Pets in Bellingham. When your beloved companion animal dies, it’s natural to feel grief and sadness, even depression. Our free monthly pet loss support group offers support and help to anyone grieving the death, loss or terminal illness of a beloved companion animal. Visit our Pet Loss Support Group page for more information. We realize how difficult it may have been for you to come to us to surrender your animal. Because of the significance of your decision, we want to ensure that you thoroughly understand our policies on surrendered animals. It is important to know that the Whatcom Humane Society is an “open admission” humane society. This means that we promise to accept into our care ANY animal that comes to us. Because of this, last year we received well over 4,000 animals. Sadly, there are not enough homes for all of these animals. At WHS our goal is to find a loving family for every animal, but unfortunately there are simply more animals than there are people who want to adopt them. If they are showing signs of extreme stress due to being placed in a kennel environment. At WHS every effort is made to find loving homes for animals in our adoption program. Once an animal is placed into our adoption program there is no set holding period. Animals may remain available for adoption for a day, week, month, or longer. Animals available for adoptions may be euthanized if there is a decline in their health, temperament, or physical condition. They may also be euthanized if our adoption areas become overcrowded and room needs to be made for new incoming animals. Any animal who is euthanized (humanely put to death) will be administered a painless injection of sodium pentobarbital. If you decide to surrender your pet to the Whatcom Humane Society, please complete the personality profile below and bring it with you to the shelter. Please leave your animal(s) in the car when you arrive. Once paperwork is complete, staff will ask you to bring them in. Our surrender fee is $50. If this fee is a hardship for you, please call customer service at (360) 733-2080 ext 3001. Our country as a whole, is suffering a tragic pet overpopulation problem, with 10 million animals being euthanized nationwide each year because new homes are not available. Whatcom Humane Society cares for thousands of animals each year, and we couldn’t do it without the help of our dedicated volunteers. Read through the Volunteer Handbook. Review the dates of the next available Information Sessions. RSVP and attend the Information Session that fits your schedule. Complete a WHS Volunteer Application. Complete the required hands-on training session(s) for the position that interests you. Become a valued member of our volunteer team! Due to the number of inquiries we receive, there is no wait list for information sessions. Unfortunately, we cannot accommodate volunteers looking to fulfill community service hours or students completing culminating projects. At this time we have the Juinor Partner-Up program on hold. We are making some big changes to the program that will allow us to increase the number of kids we are educating each year. Rather than making a weekly commitment, we will begin hosting onsite workshops for teens and preteens to come to WHS, learn about the animals, and do hands-on service projects to help. We hope to have this new program launched at the first of the year. Please keep an eye on our website for details! Please contact Carly at volunteer@whatcomhumane.org with questions. Bake dog treats and donate them to the shelter – OR have a doggie bake sale! Be a kind consumer. Learn more about finding cruelty free products! Become a foster family. You have to be 18, but it’s a great family opportunity! At least one parent must attend a Volunteer Info Session. You can also reach out to the Whatcom Volunteer Center for information about other opportunities in the community. You will find them at www.whatcomvolunteer.org or 360-735-3055. Foster Care Provider – click here for more information! Whether you are interested in caring for animals, providing administrative support or helping with fundraising events, there are opportunities for anyone who wants to make a difference.